TANDAG CITY, Surigao del Sur, May 22 -- The Sangguniang Kabataan (SK) Mandatory Training has started in Surigao del Sur Monday, May 21. According to Pedrito Alacaba, DILG Provincial Director here, the Provincial Management Team (PMT) mandated to assist the conduct of such undertaking would be expecting attendance of all proclaimed winners in the just concluded Barangay and Sangguniang Kabataan Elections (BSKE) held on May 14, 2018. Each participant had to shell out P2,000 training fee for the one-day mandatory attendance in the five-day appointment window that would last until May 25, Alacaba said. 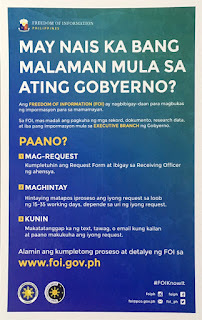 Earlier Alacaba cited that the subject matters had something to do with Decentralization and Local Governance; Katipunan ng Kabataan/Sangguniang Kabataan (KK/SK) History and its Salient Features; Meetings and Resolutions; Planning and Budgeting; and Code of Conduct and Ethical Standards for Government Officials and Employees. Meanwhile, Dr. Baceledes Estal, president of the Surigao del Sur State University (SDSSU), confirmed that the learning resource institute (LRI) under him had an important role to play in the conduct of the said training. He stressed that aside from being the facilitator, they had to handle lectures on two of the five specific topics given, noting the second and the last one mentioned. All six campuses province-wide would be utilized as training venue, Estal added. 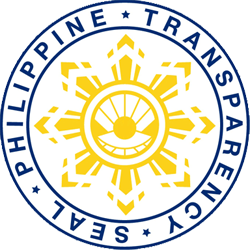 Considering the set of SK officials with seven members plus its chairperson, Surigao del Sur would have 2,472 participants coming from 309 barangays, it was learned. TANDAG CITY, Surigao del Sur, May 22 -- With the surrender of 13 NPA militias over the weekend, 53 rebels have been totted up to have turned themselves in to the military in Agusan del Sur. Col. Andres Centino, commander of the 401st Infantry (Unity) Brigade of the Philippine Army (PA) based in Prosperidad, Agusan del Sur, credited the feat to the effort of the Community Support Team (CST) deployed in the insurgency-affected areas assigned to the 75th Infantry (Marauder) Battalion under LTC Jaime Datuin with headquarters located in Bislig City, Surigao del Sur. “It is a composite team headed by LTC Datuin comprised of men taken from the 26th Infantry Battalion, 3rd Special Forces Battalion, PNP-Agusan del Sur, and the 75th Infantry Battalion,” the brigade chief noted. Earlier, Col. Centino confirmed the surrender of 13 NPA militias to the battalion commander in Bunawan Brook, Bunawan, Agusan del Sur. “They have already come to realize the inutility of their cause,” Col. Centino further remarked.